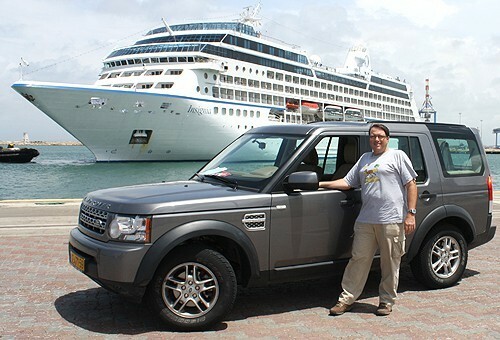 Shalom to all of u cruise passengers we r so happy that cruise ship come again to Israel since the last 3 years (2009). 5 years Israel was out of the way for the cruise ships because of political disturbances but now thank God and the tourists cruise ship r coming again to Israel. “The Tourist’s Empire” brings peace all over the world, as when no peace no tourists and many people loose their livelihood. I want to thank each one of u that despite all roomers u r coming to Israel. Israel has long shore line along the Mediterranean about 200 km almost half from the total length of 450 km. Located in the center the biggest county of Tel Aviv 100 km to the north Haifa and 30 km to the south Ashdod.